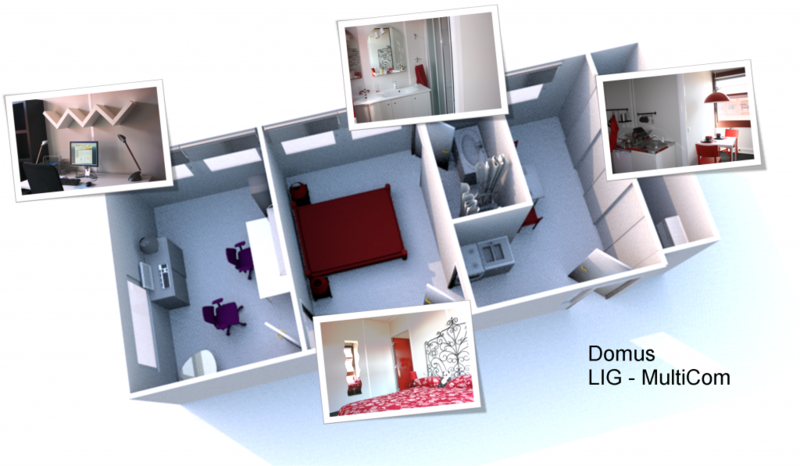 As part of the Carnot institute LSI, the MultiCom research group built a prototype of a smart apartment (40 sqm). This apartment is designed to be both a showcase, a demonstrator, but above all a test of new interaction techniques in home automation, in the philosophy of Living Labs. With DOMUS, these aspects can be implemented and evaluated in a realistic context. 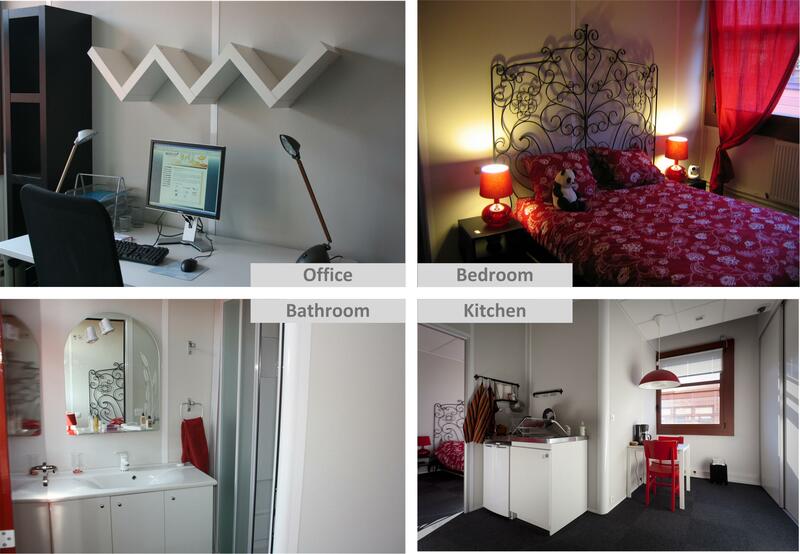 This apartment consists of a set of pieces embodying a classic apartment (office, bedroom, bathroom and kitchen with dining room) and has a real furniture. The entire apartment is controlled by a home automation system. This home automation system also allows interaction with tangible objects and collection activity traces. DOMUS is used to test the acceptability, usefulness and usability of innovative systems in this area where the actors are very numerous and complex interactions. It can test new products and new solutions with user panels (which term includes end users as much as electricians, contractors, maintenance services and management, and more generally all industry players). DOMUS is thus used as a research tool for many projects. For details, see current projects or projects completed. The DOMUS apartment is equipped with sensors and actuators type of automation that meet the KNX standard. KNX is also used as bus interoperability to unite all the disparate protocols used in the apartment (RFID readers, X2D sensors, UPnP devices, ZigBee appliances, DMX lighting system,…). In addition, information exchange with the outside world (remote control, energy optimization, health care services,…) is managed using an OSGi gateway. The architecture is detailed in a specific page.